The January transfer window is now open and the transfer rumours are in full flow with some exciting young players expected to move within the next few months. One of the biggest talents being the German striker Timo Werner. The Leipzig striker has been linked with some of the top clubs with Barcelona, Real Madrid, Bayern Munich and Liverpool all looking for his signature. Liverpool have been linked with Timo Werner for a while now and the general feeling among Reds fans is that they would love to see the club go for him and add more quality and depth into the squad. 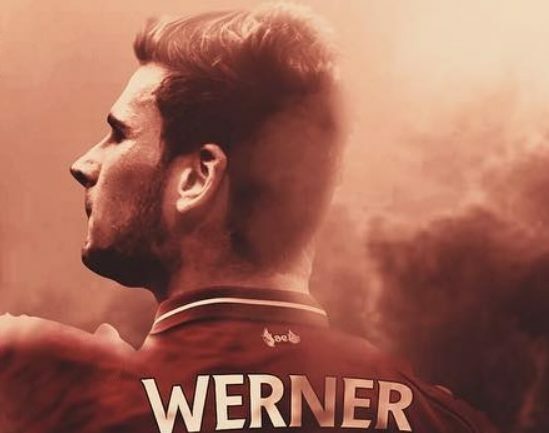 An image released on social media was seen with Werner in the red of Liverpool and although it was an edit, fans would admit he looked right at home. Liverpool are already flying in the league and would hope they can add the German international to their ranks.